This simple detached garage plan is designed to blend with a variety of home styles. It's perfect for parking extra cars or simply as an extra storage space or workshop. 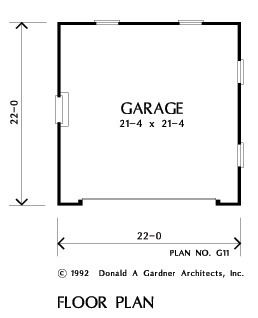 House Dimensions: 22' 0" x 22' 0"